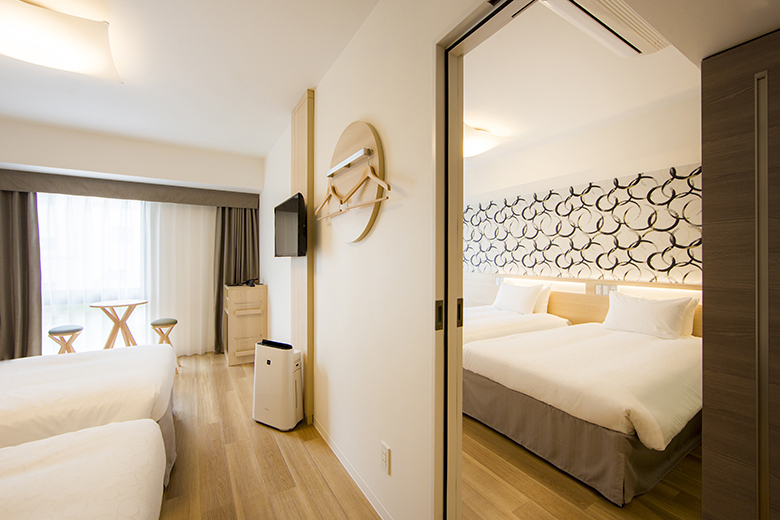 karaksa Spring hotel Kansai Air Gate opened on January 16, 2017. 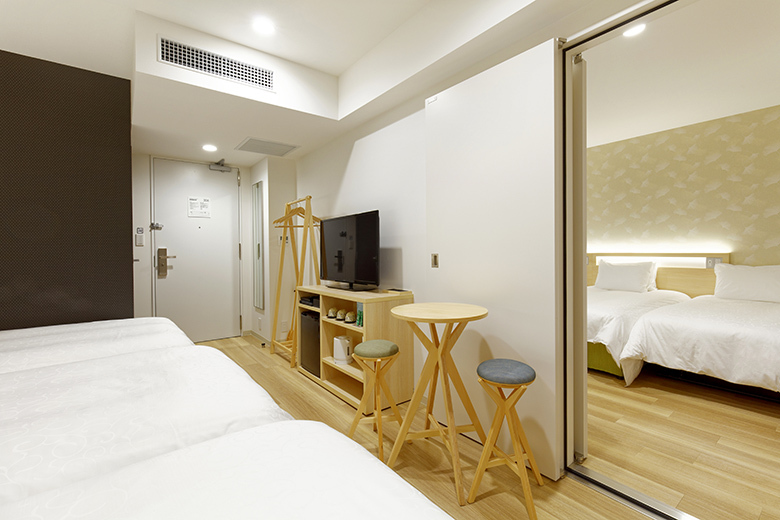 It’s located just three stops on the train from Kansai International Airport, the Western gateway to Japan, making it ideal for stays before and after an overseas trip. Moreover, it’s only ten minutes by car from the Rinku Premium Outlets, where guests can enjoy a shopping excursion. 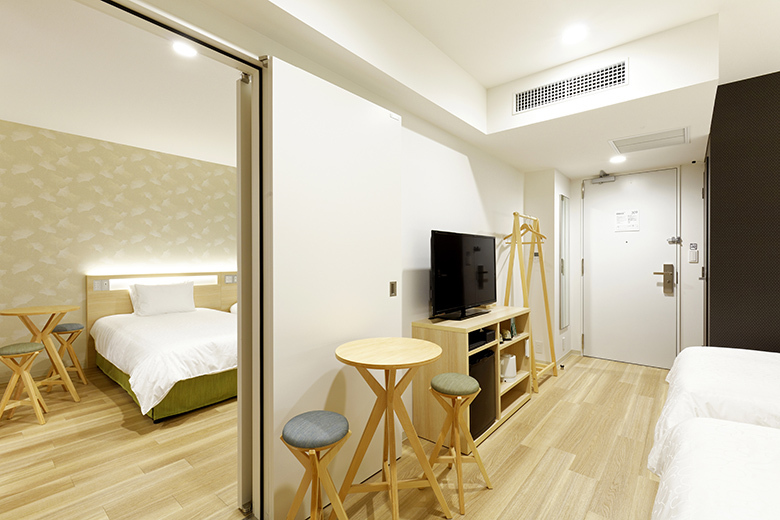 The majority of the hotel’s 60 twin rooms can be connected to the room adjacent to them, allowing up to four people to share a two-room space. Rooms accommodating up to three people and a Japanese-style room are also available among the hotel’s 139 spacious rooms, which are perfect for sightseeing travelers. We look forward to welcoming guests from all over the world to this first collaboration between karaksa hotels and the Spring Group. ・From Kansai International Airport, take the Nankai Airport Line and get off at Izumisano station. Transfer to the Nankai Main Line, go one stop to Hagurazaki Station, then walk five minutes to the hotel.